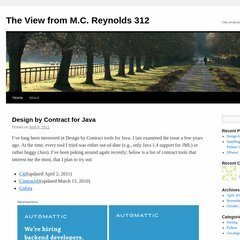 Topics: Design By Contract For Java, Uncategorized, Python, and Dparser. Its IP Number is 74.200.243.251. It is hosted by Layered Technologies Inc (Texas, Plano,) using nginx web server. A ping to the server is timed at 24.0 ms.